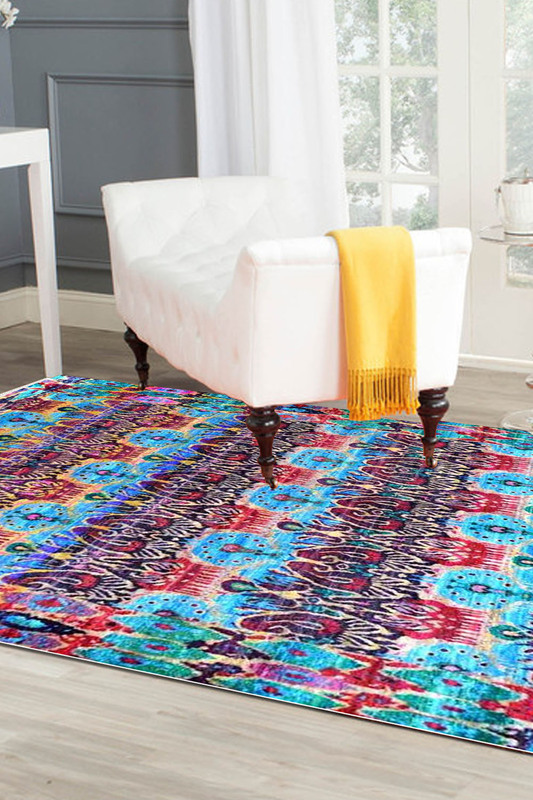 Stunning Sari Silk handmade rugs with a unique design pattern and vibrant colors. This Rug is One of a kind and has meticulously been handwoven by our weavers. - Gorgeous Sari Silk handmade beauty does not require any introduction. - It is an absolute beauty handmade in recycled Sari Silk. - The colors are bright and vibrant. Main colors are various shades of blue with pink and yellow. - The rug has an overall design pattern with big motifs thereby giving it s unique look. - The turquoise adds that extra oomph to the whole rug. - This is 100% washable and is ideal for space with light interiors.